Reprint. Originally published: London: Hamish Hamilton, 1983. The Classic English Ghost StoryArthur Kipps, a junior solicitor, is summoned to attend the funeral of Mrs Alice Drablow, the sole inhabitant of Eel Marsh House. 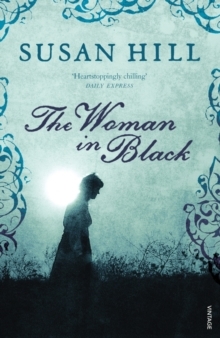 The house stands at the end of a causeway, wreathed in fog and mystery, but it is not until he glimpses a wasted young woman, dressed all in black, at the funeral, that a creeping sense of unease begins to take hold, a feeling deepened by the reluctance of the locals to talk of the woman in black - and her terrible purpose.